The Capital Barbie: Wanna Race? Let's race. 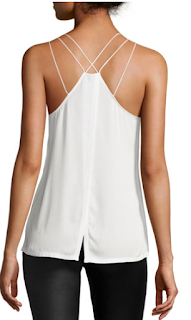 I mean racerback. This simple back detail is usually seen with athletic wear but it can also be dressed up with the right cut and style. 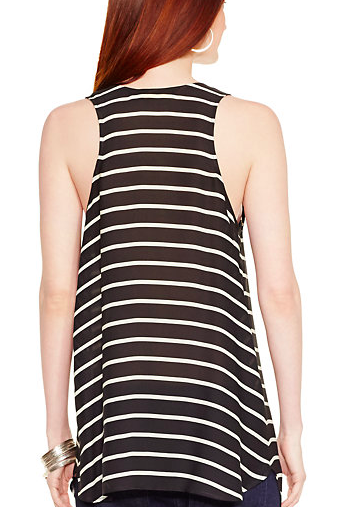 Check out these hot weather approved racerback tanks. This top was originally $228. You need this staple in your closet. It's going to be a summer go to. This silk tank is so much fun to mix and match with colors and patterns in your closet. Or go super simple with white jeans. Very versatile piece and dressy to boot. Pineapples, anyone? 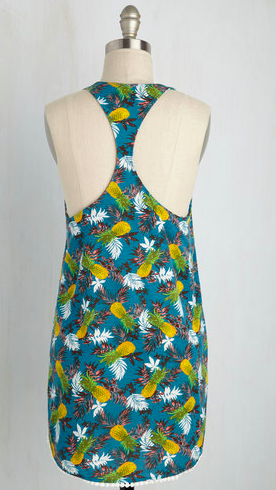 I love the print and the white dot detail on the hem. 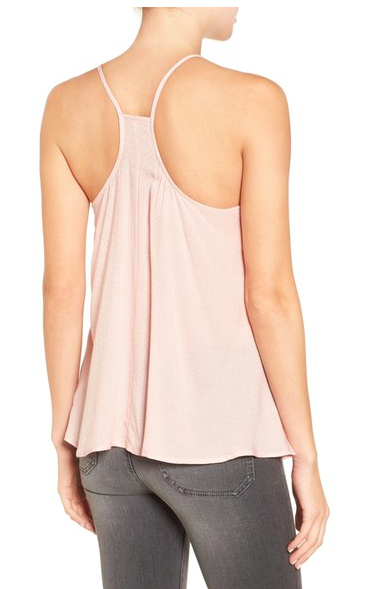 Blush tank with a front pattern that is breezy and casual. When the weather is in the triple digits and you can't even bear to wear sleeves, try a racerback tank! It's a great way to mix up your summer sweat wardrobe.